A complete basic course in English phonetics and phonology which combines academic material with practical exercises, both written and recorded. 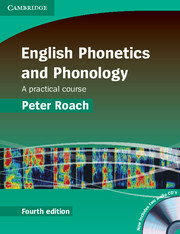 English Phonetics and Phonology bridges the gap between simple pronunciation handbooks and technical phonetics and phonology textbooks, presenting the basic factual material and crucial theoretical issues in a practical and readable way. Can be used by both native and non-native speakers alike, and is suitable for those training to teach English as well as those studying the language at an advanced level. 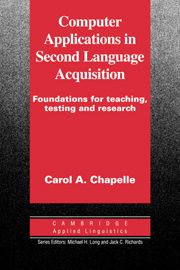 This book explores computer applications in second language acquisition and research.